Over the past 10 years, Moffitt Cancer Center has experienced significant growth in their clinical and research programs. The lack of space to accommodate that growth has led to undersized and inefficient departments and a lack of faculty office space to keep up with the new physicians coming on board. 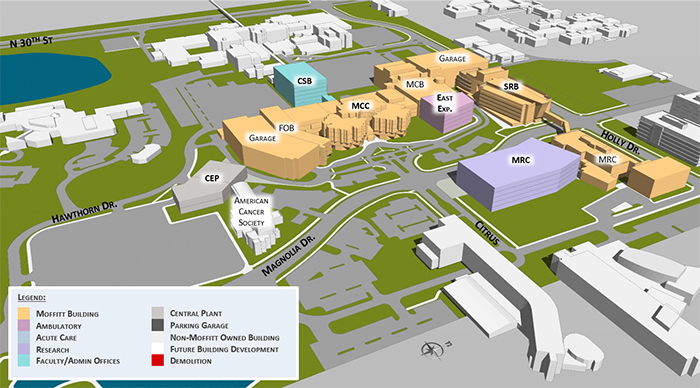 RdM Architecture assisted HOK Architects with the Planning and Programming of the new Clinical Support Building on the Moffitt’s main hospital campus situated at the heart of the USF campus. The new building will not only provide space to relocate and expand all faculty offices and their administrative support functions but will also accommodate most of the laboratories currently located on the second floor of the hospital and allow other patient care areas to continue to expand. 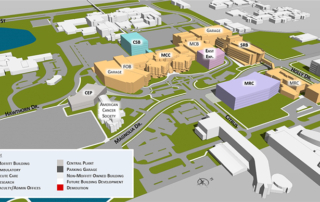 The CSB building is the first step of a 5-year Master Plan that will provide growth opportunities and standardization of care for all ambulatory clinics and other patient care programs.